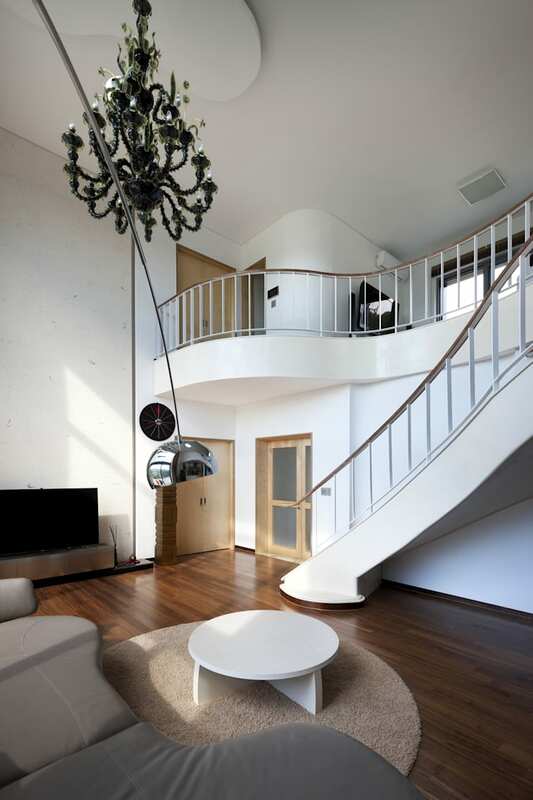 This house is made as if it is placed above the flat shelf of the forest, or also seems like a castle in the sky. The pointy edge of Mother Nature is smoothened to make every sharp end of earth and soil smoother in to the circle like curve, makes it seem to be castle on the mountain. 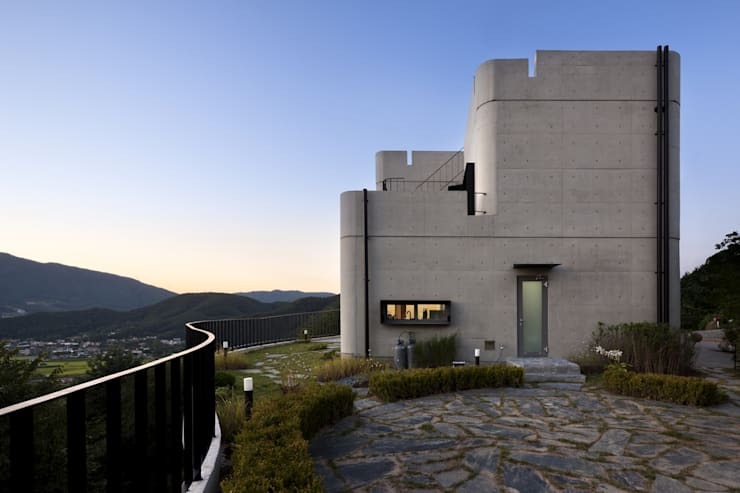 Placed above the steep slope of the mountain and when the afternoon sun moves to the west and shines to the east, the house showers in the brightness. 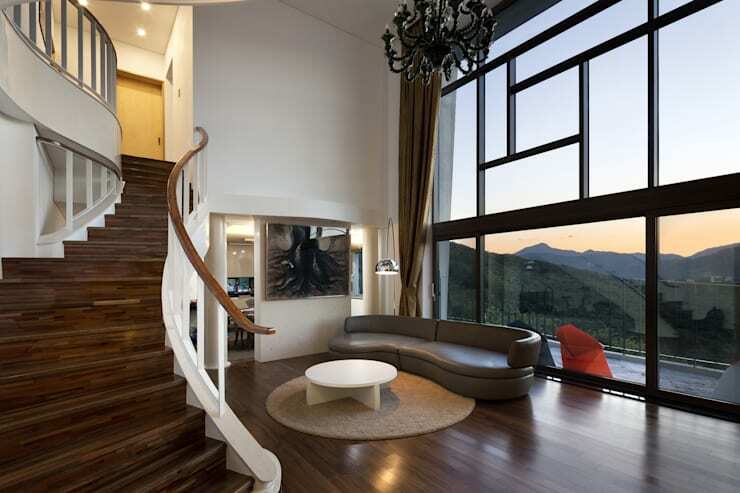 The land that the clients have chosen for themselves usually suits them well. No, to properly elaborate the expression, it seems that the sites were made in order for the owners to live within them. It seems that when choosing the proper site of the house, faith plays its part, just as if people meet their soul mates. 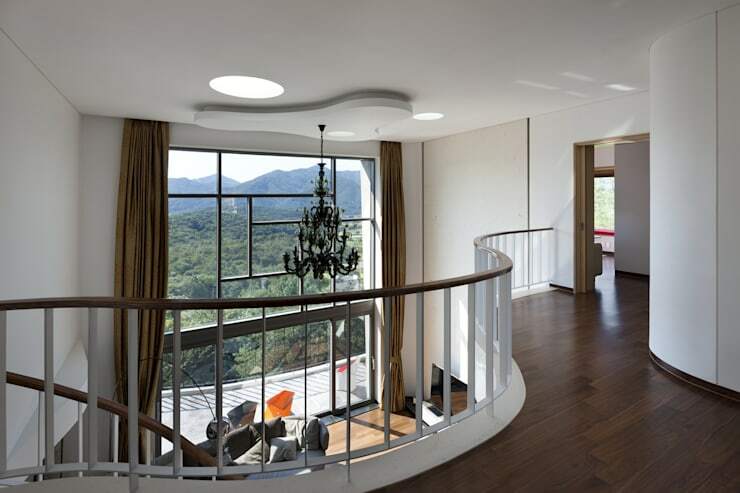 Our client, who wishes to construct his home in Yangpyeong Munho-ri, also brought the site that perfectly suits him. 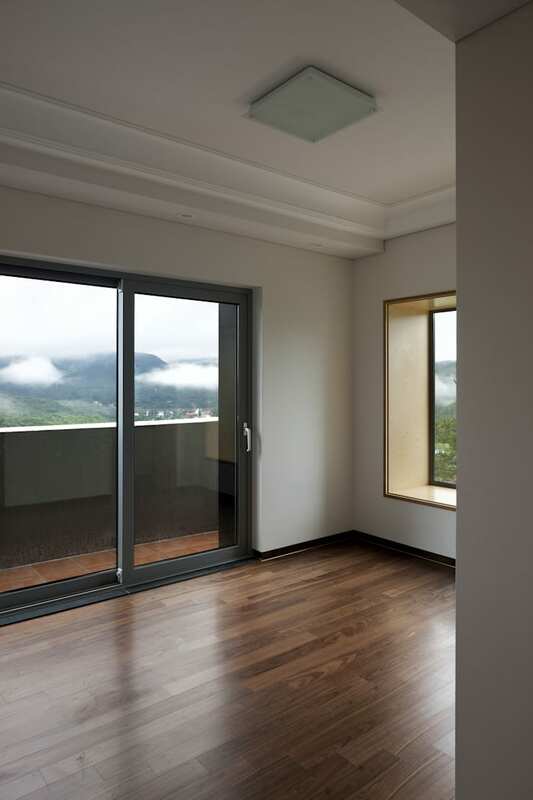 Sites which are located in Yangpyeong are close to Korea’s capital, Seoul and the beautiful landscape mesmerizes people to gather and build their homes. Not too far long ago, people from Seoul would come for a picnic, but recently houses are being built here and there. At first those houses were used as second homes to relax over vacation or the weekends but now a substantial number of homes are made for livelihood. Beside the big lake that flows in pride, countless houses are being built. The houses are built beside the roads where the river could be seen and follows on deeper in mountains. It would seem as if a silk worm would drive into the mulberry leaves. Exactly by that expression, it would have probably arrived in the outskirts of the mountains. And then after paved roads were made into the mountains, houses were made as if they were clusters of grapes. The town has then traveled up into the mountains where finally it reached the house on the cliff. Now more houses are being made around it. In turkey there is a place called Cappadocia, the land of the beautiful horses. It is a deserted land hosting boulders with holes. Those holes are windows and doors. The boulders are a type of architecture. In the olden days this was a place for Catholics to hide from the officials. The houses were made by making holes with a chisel and people would live within them. As if water would ease in to fabrics, people would ease in to any kind of environment in order to survive. As history elaborates it, people become super human and animalistic in creating their shelter for survival. All type of creature lusts for a home to relax in but only a human would destroy nature in order to do so. For one to survive, one would break open a rock, Cut out a portion of a mountain or cut down trees. And after all is done, that land is claimed. This site is also made after doing so. The river could be seen in illumination because it was on the peak of the mountain. But the climb was as steep as a cliff. The shine of the west sun was a burden. The site itself had a lot of sharp edges for a house to be built in. The houses that are made on this mountain top have no uniformity in where it is built. A lot of Mother Nature still lives aside the houses. The requirements of the client were few but complex. First they would want to see the river from the highest point of the mountain, meaning they would want not to change the land itself. Their requirements could only be done by doing less digging and less covering of soil. In order to build a house with those requirements would mean to elongate the foundation of the house. To put this in simple terms it could be said to be “nature friendly”. 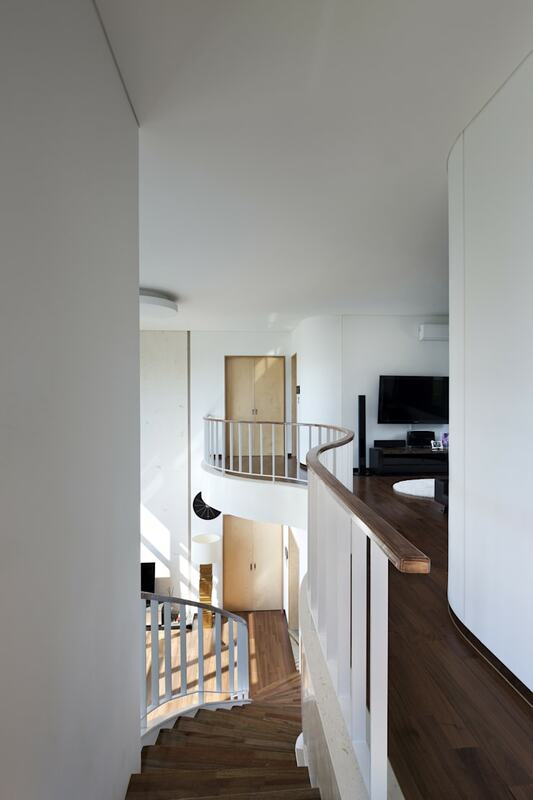 It had to conserve the round nature of the site. That is why this house seems to be on its crow’s feet. The second requirement of the home owner was they would want the house to be a nice strong castle like wall built with rocks. In order to fulfill the wishes of the client, several ideas were proposed. But in order to recreate a solid castle wall, exposed mass concrete was chosen. We have planned the heavy and strong architecture to take a stroll with nature. And as a result, a floating castle was made on the top of the artificial land. 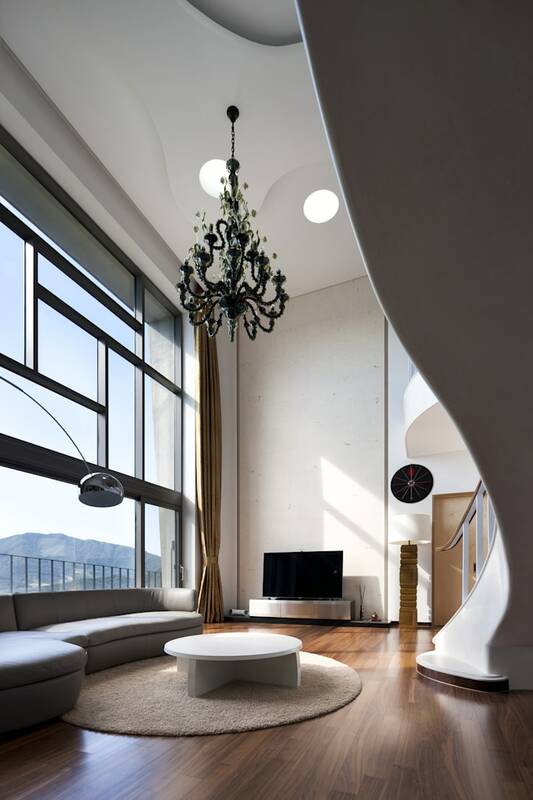 The center of the house, the living room would illuminate with brightness. 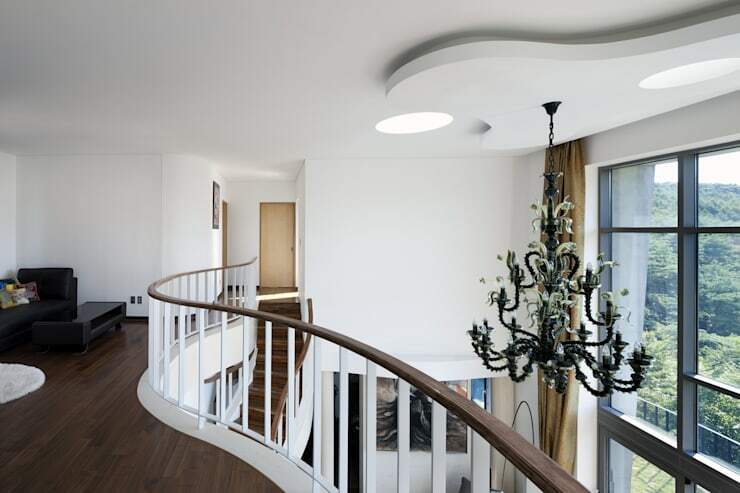 The three white lights would come through roof and finally brighten the floor. 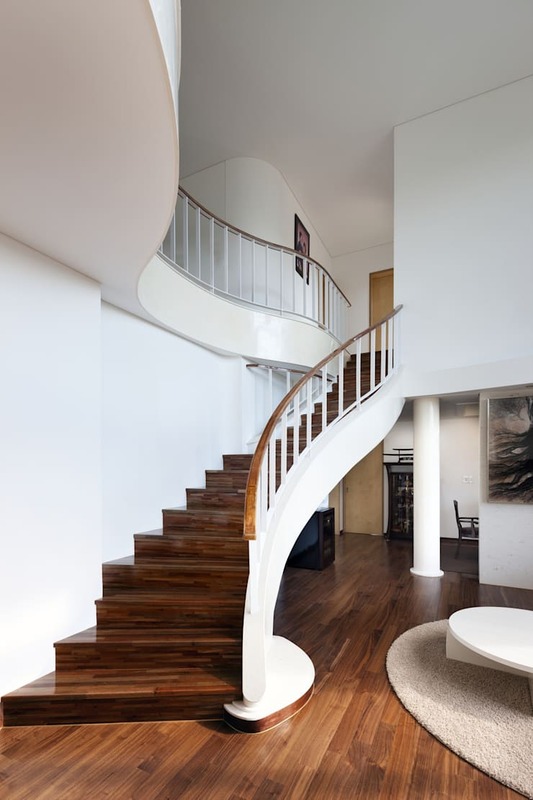 The stairs which are made with smooth curves were made in order for mountain, river and clouds to be seen over the windows. ["PL"] [Published] Dekoracja okien – jak to zrobić ładnie i praktycznie? ["RU"] [Published] Пластиковый подоконник – брать или не брать? 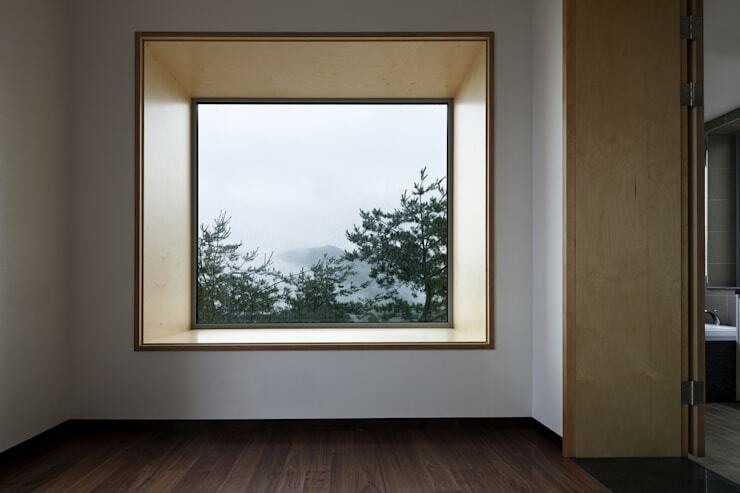 ["ZA"] [Published] Bathe your home in natural light!